It’s that time of year again when everyone starts building up for Christmas and the chaos it brings. For most of us that involves saving as much money as we can and making quite frankly ridiculous amounts of lists – Christmas presents, cards, food supplies… drink supplies for getting over the stress of making sure the other three lists are complete. There’s nothing worse than someone coming over to visit you, present in hand only for you to realise that you forgot to add them to one of your lists. For all of us at Taylor Tuxford Associates, the build up to the festive season marks one of our busiest times as we gear up for our Christmas fundraising sessions alongside our usual workload. For those that might not know, we are part of a fundraising group known as Blu Crew. The group was founded initially with the primary aim of raising money for Bluebell Wood Children’s Hospice, but has now branched out to help other local charities and fundraising groups. 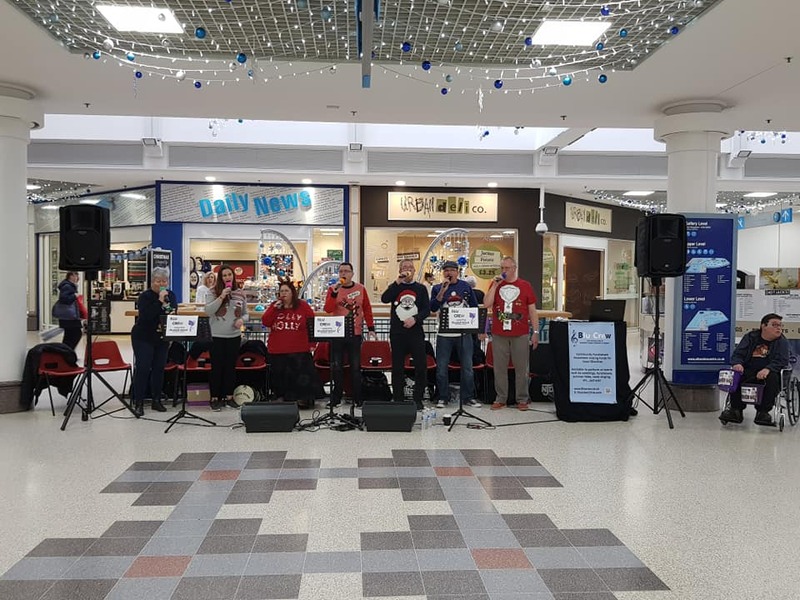 During December, Blu Crew’s primary fundraising efforts involve multiple sessions at various shopping areas around South Yorkshire singing carols and other Christmas songs. We started our fundraising efforts last weekend by singing on Saturday at the Wickersley Christmas lights switch on and on Sunday at the Alhambra shopping centre, Barnsley. We’ll be in action every weekend between now and the 16th December, so you can come and see some or even all of us at the following locations – you’ll know it’s us when you see Anne bopping along to the music! Start/finish times are approximate, but we’ll be at those locations between those times, so come along and say hello… and be prepared for the folks with the collecting buckets!